At one time or another, most organizations, both large and small, will have to resolve dysfunctional units or departments within an enterprise that are characterized by a tendency to protect themselves. These business silos are not good for any business since they waste resources, kill productivity, and jeopardize the achievement of goals. A business silo is characterized by the tendency to hold and maintain information with little or no desire to share or communicate with other teams. As you can imagine, this can result in inefficiencies, and when left unchecked, it can stall growth and lead to big problems down the line. Business silos are good when you need to protect something, but they are bad when trying to innovate, collaborate, and communicate. What can help bring back sanity to an organization already struggling with silos within various departments? Companies don't always change because they want to. They change because of competition, customers, government regulation, and advances in science and technology. 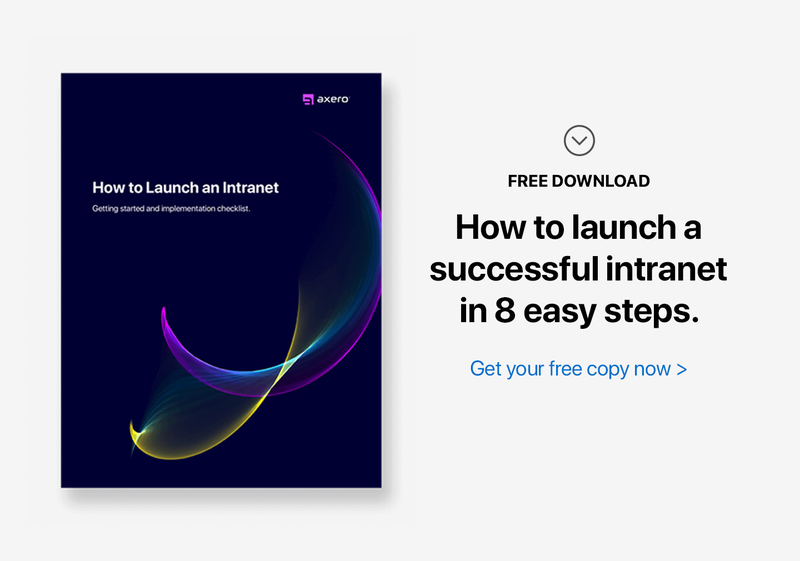 When it comes to breaking down business silos, social intranet software platforms stand at the forefront in enabling organizations to share and collaborate across departmental units. According to the book, Silos, Politics, and Turf Wars, by Patrick Lencioni, business silos “exact a considerable human toll. They cause frustration, stress, and disillusionment by forcing employees to fight bloody, unwinnable battles with people who should be teammates." According to Pat, company employees need to row in the same direction. It is also imperative that executive teams get engaged and help steer the boat in the right direction. Social intranet software platforms help teams collaborate on projects and share resources. When middle-level managers use these platforms to streamline processes within departmental units while also onboarding outside units, this breeds trust and helps cut wasted resources due to duplicated efforts and information. Such a platform becomes a place where knowledge, expertise, and efforts are shared. In order to work toward one common goal, there needs to be many tactical smaller goals and objectives that teams have to achieve. Each unit may have to work toward a much smaller goal with the ultimate goal in mind that everyone across the company is aiming to achieve. Effective teams are made of individuals who align their personal goals with those of the team. This includes timelines and the ability to monitor progress together. All of this builds trust among team members, which is another key ingredient toward working for common goals. Team collaboration will thus be essential for any of this to take place. A collaboration space needs to be in place to promote open and honest communication where individuals can share and interact to help build trust. Such a space needs to offer a productive work environment to help achieve goals and objectives of individuals as well as those of teams and the organization. In order to avoid the "It's not my job" attitude, which is so common among siloed teams, managers need to encourage team work, team effort, and productivity. Motivation varies across teams and what may work for one unit may not necessarily work for another. Identifying key components that motivate individual employees is thus important. Know your employees' interests, drives, and motivations. If you do not know your employees, this can be a problem. What do they share with their teammates, what type of content do they post on public-facing websites? What truly drives them? Organizations that use social intranet software platforms have fewer headaches when figuring out what ticks with their employees. Since their profiles are already on the network and they are sharing valuable information with others, this can be used to determine what motivates and incentivizes each employee. To create a productive team, knowledge sharing, collaboration, and confidence are necessary. The exchange of knowledge between teams can help with breaking down business silos as teams interact and offer each other constructive criticism. This rarely takes place at meetings or other formal settings. Since long and frequent meetings waste time and do not encourage positive criticism, organizations should consider setting up an informal social intranet platform that encourages more open communication to take place. Such spaces can help create thriving and productive teams that can encourage innovation and creativity. Such innovation is necessary for an organization's survival in a highly competitive market. The overall health of an organization is dependent on the health of employee relationships. When there is no trust and confidence among teams, this can be detrimental to the realization of company goals. When all employees are rowing the boat in the same direction, there is a very high chance that this team effort will help them achieve the ultimate common goals of the organization.